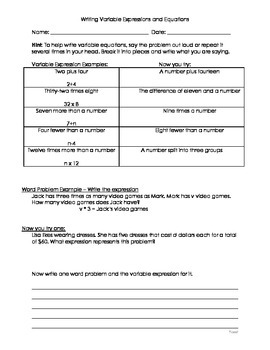 This activity is to help students write variable expressions and equations. It begins with some simple expression examples and then gives students practice. 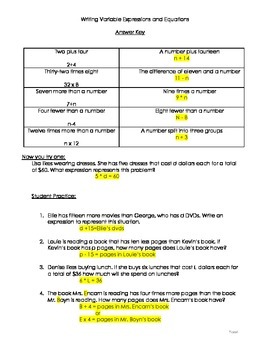 Then it moves on to writing equations for word problems with an example and practice for the student.